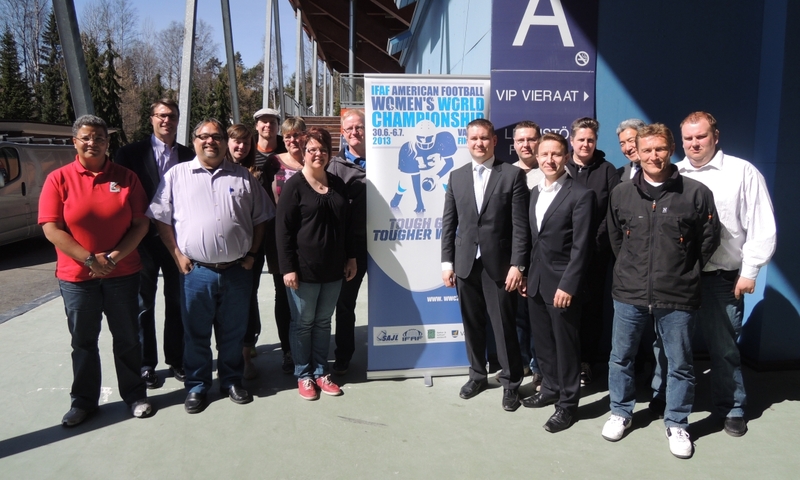 Representatives from all participating countries made themselves familiar with the accommodation hotels, the stadium and other facilities of the coming tournament in the tournament technical meeting held in Vantaa Saturday, May 4th. The day started 8 a.m. with a tour of the two hotels and their facilities, and after that getting to know the stadium facilities. In the technical meeting tournament management went through the important regulations of the competition. After the meeting the participants had the opportunity to watch Helsinki Roosters beat Helsinki Wolverines 29-22 in an EFL game played in the ISS Stadium, that will hold also the WWC2013 games.